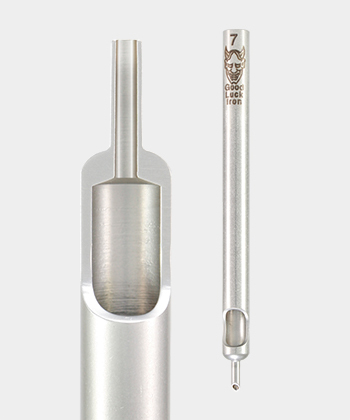 Crafted from a solid piece of high quality British surgical grade 316 Stainless Steel. Because of this it’s possible to create a range of different shaped liners without losing performance and increased needle stability. Crafted from custom British 316 surgical grade Stainless Steel Tubing. 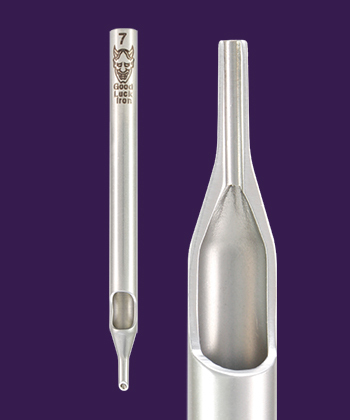 Cold-formed from tubing which creates a gradual taper towards the tip but allows fewer external designs. Needle stability is a little more organic due to the forming process.